1960's Simplicity 6805 Vintage Sewing Pattern: Envelope contains pattern pieces and instruction for making one pillow, two placemats and two napkins. 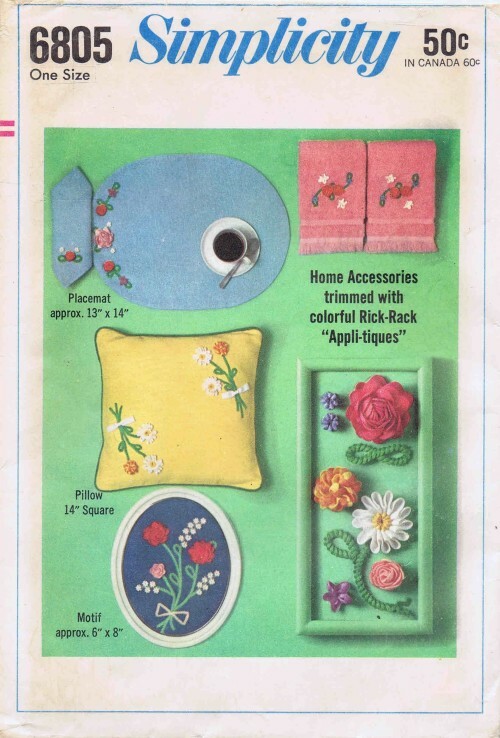 Also included are transfer motifs, color key, yardage and instructions for making rick-rack flower appli-tiques. 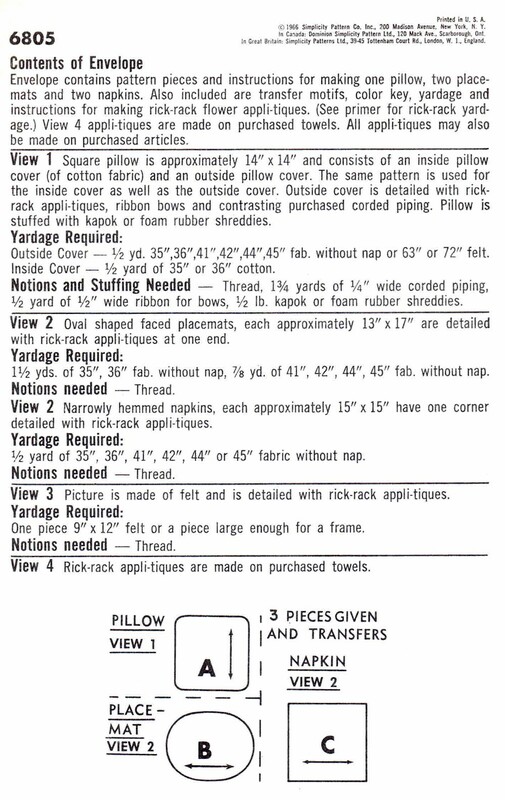 (See primer for rick-rack yardage.) View 4 appli-tiques are made on purchased towels. 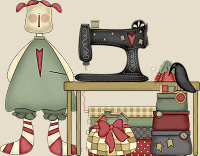 All appli-tiques may also be made on purchased articles.